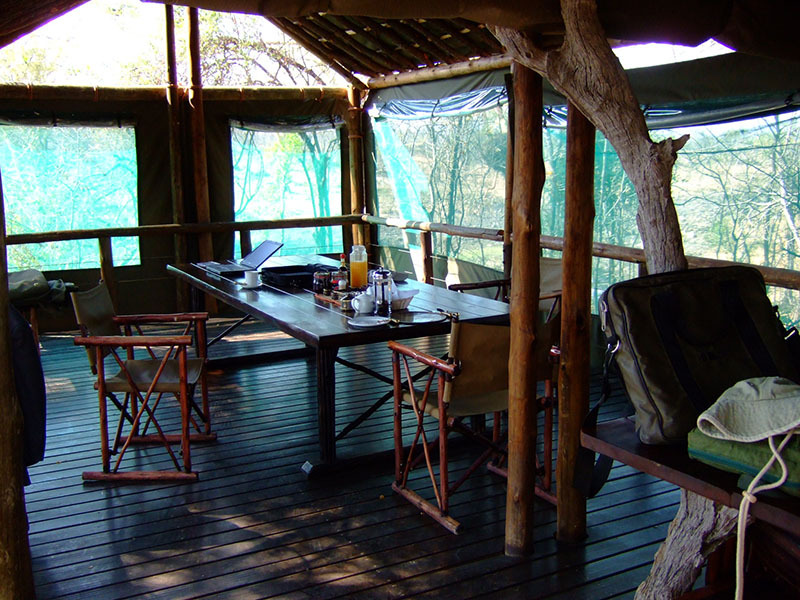 Walking in the wilderness is the prime activity at the beautiful Machampane Wilderness Camp lies in Parque Nacional do Limpopo. 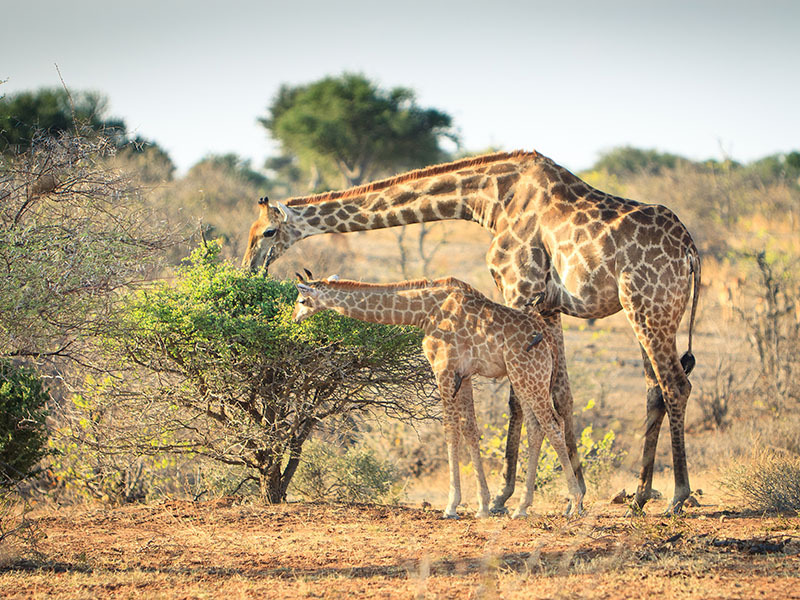 Find it in this 1,1 million hectare Moçambique sector of the Great Limpopo Transfrontier Park, adjacent to South Africa’s Kruger National Park. 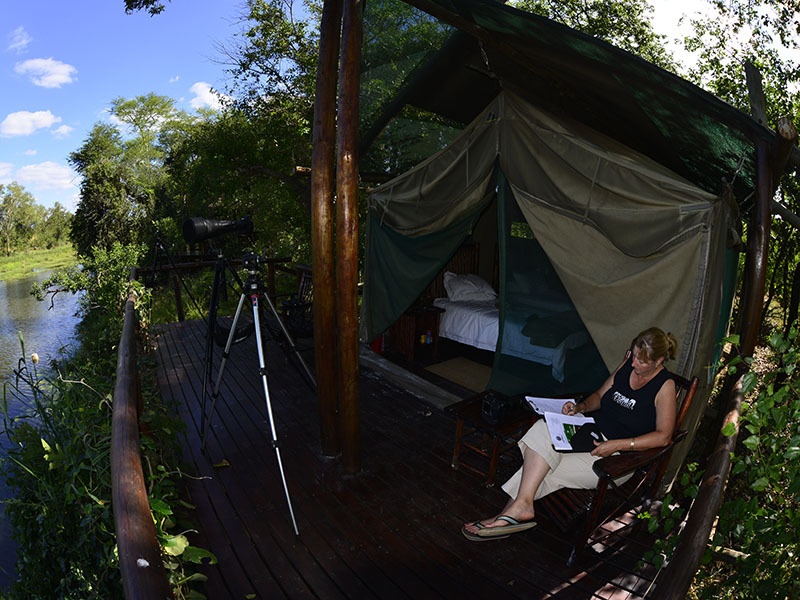 Listen to the sounds of bush nightlife waking up under star-studded skies where fences are non-existent and the Big 5 roam. 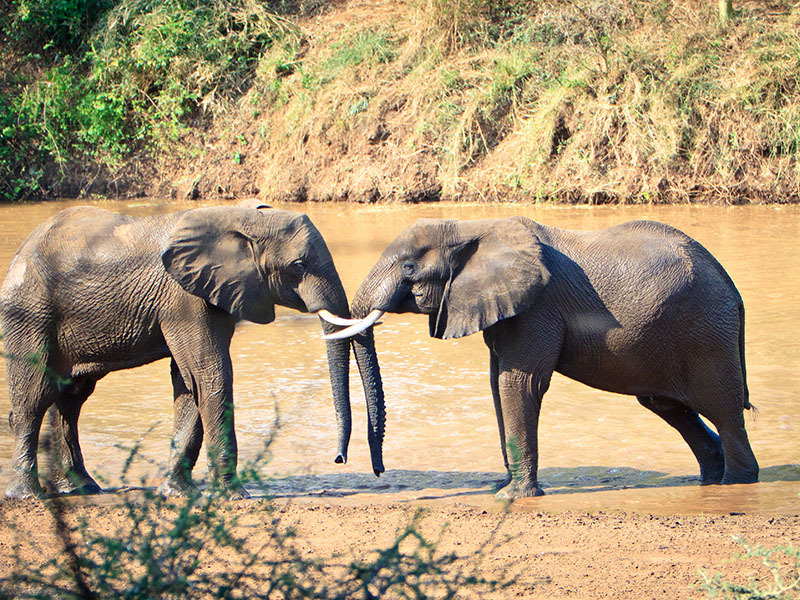 Elephants walk freely among the 5 tents at Machampane Camp perched on the banks of the Machampane River. 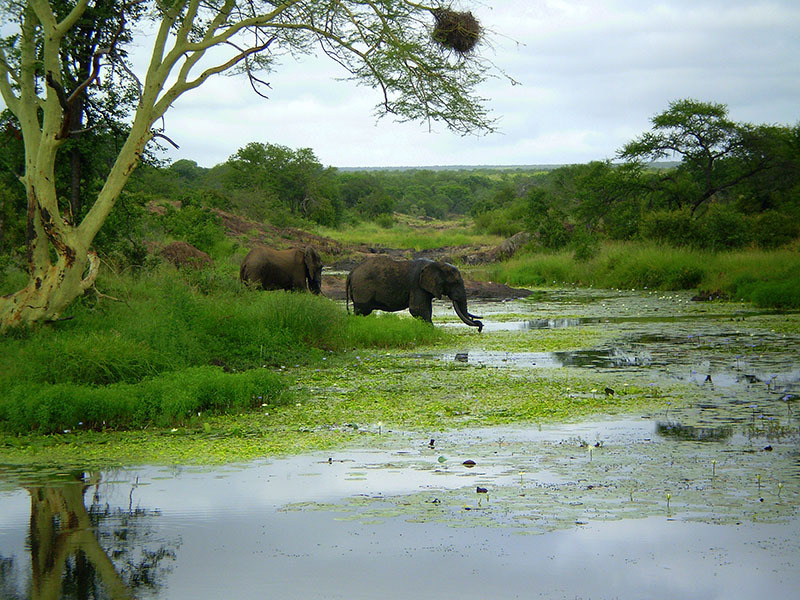 Wake up early with the sun for your guided safari walk and can also enjoy a late afternoon walk to waterholes along the river. 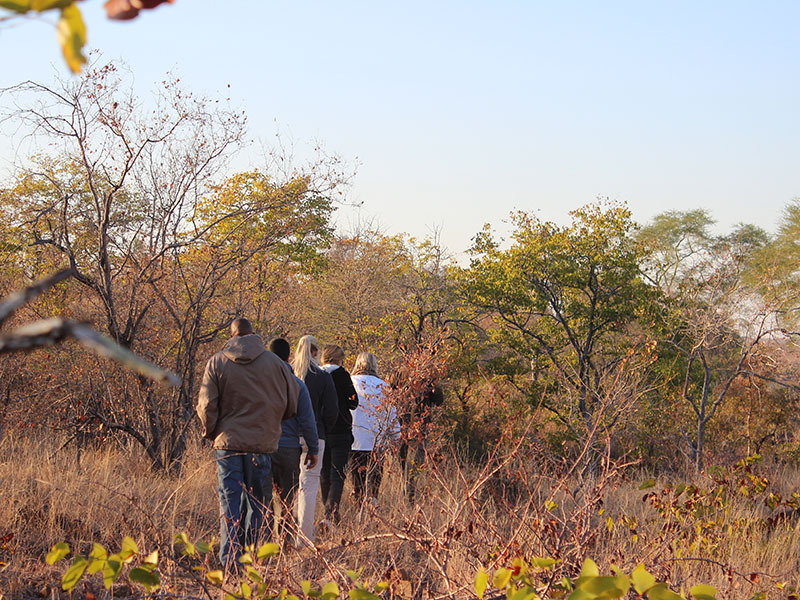 These walks are covered at a leisurely pace – more of an environmental awareness experience. 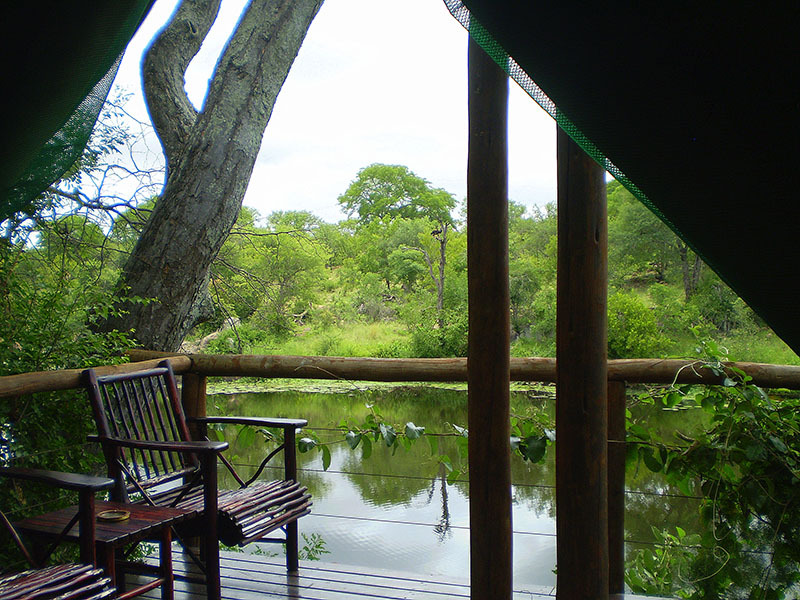 Picnic lunches are served on wilderness walks outside in the bush. 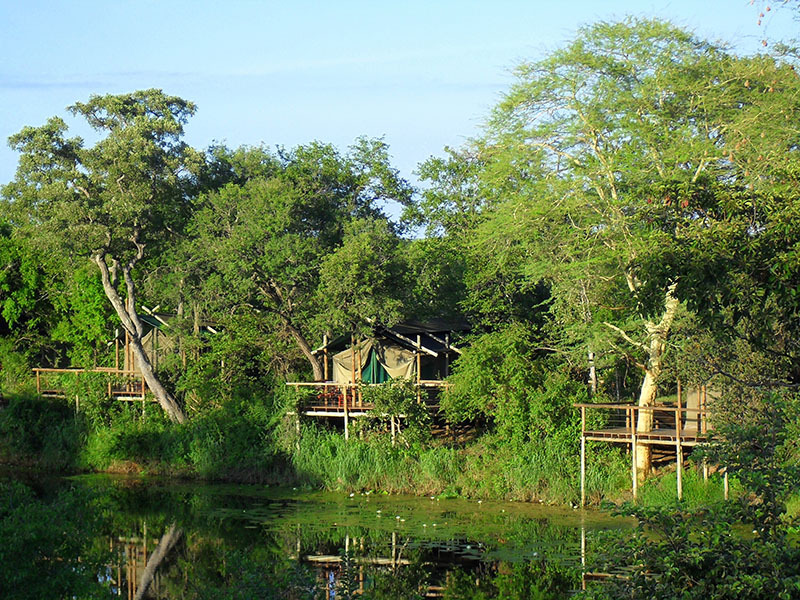 Evenings are spent in a communal boma where Mozambique style food is served around a blazing log fire. 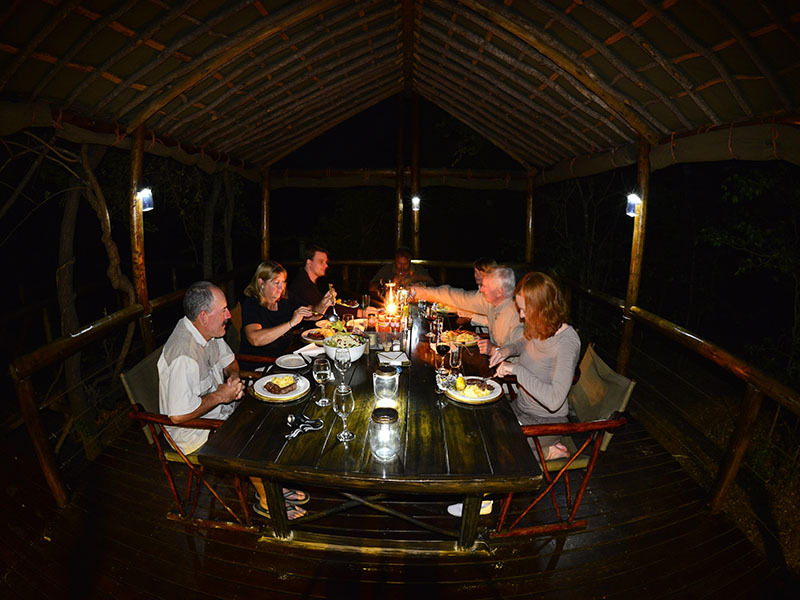 Here visitors listen to the sounds of the bush nightlife waking up under star-studded skies. 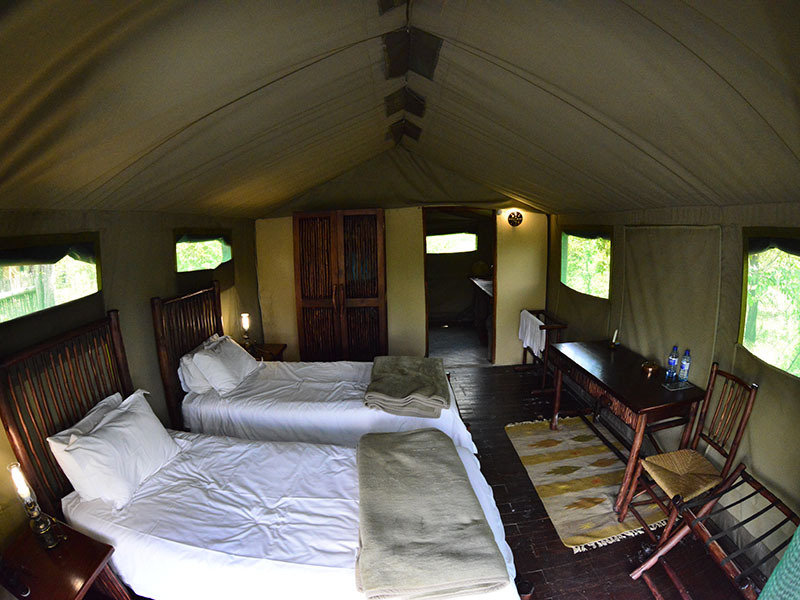 Rustic wilderness accommodation at Machampane camp features room for 10 people in 5 elegant tents. 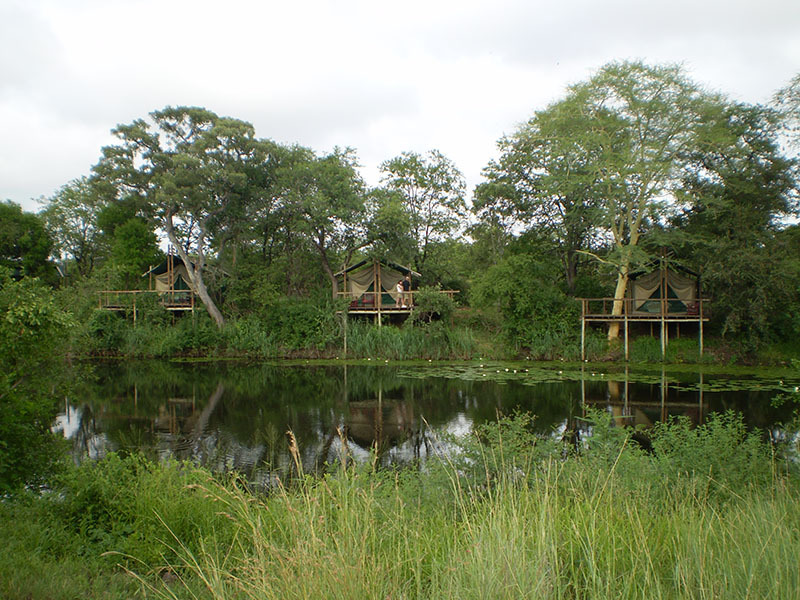 Erected as semi-permanent structures on stilts, each tent has an en-suite bathroom and private patio overlooking the Machampane River. From Maputo travel on EN1 north to Macia. Then continue to Chokwe and turn left to Massingir, travelling for another 105km. 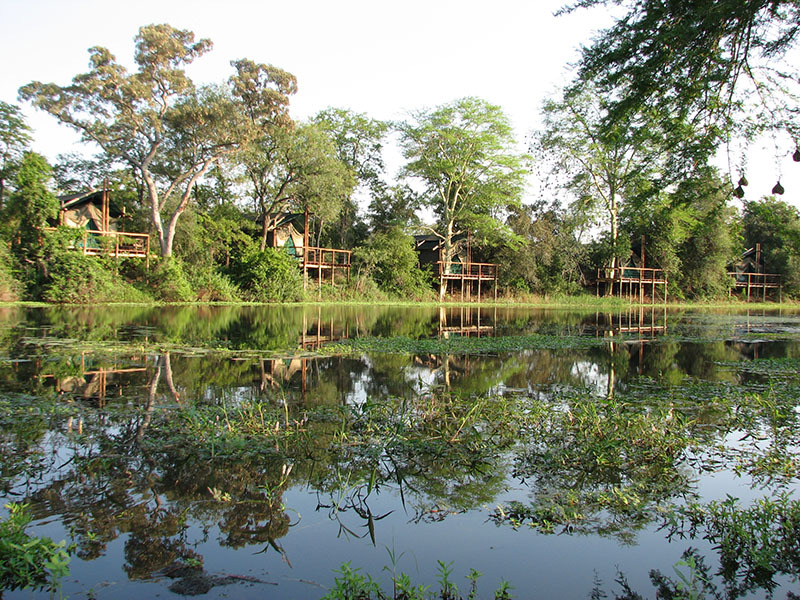 The estimated distance from Massingir to Machampane Wilderness Camp is 55 km so allow yourself at least 90 minutes to cover this.